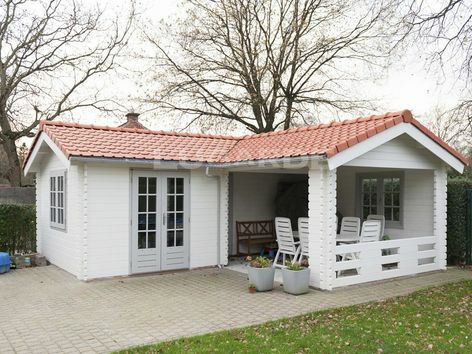 Enjoy your garden all year round with the Lugarde Como log cabin. 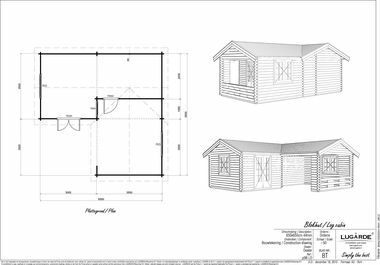 It comprises a large open L shaped room with double doors and double window plus a lovely apex roofed semi open canopy, ideal for BBQs and outdoor dining. Overall size 6.5m wide x 6.5m deep in 44mm log thickness. The standard package includes 1 x PE24H double door, 1 x PX45H single door, 2 x PE23 windows and 1 x PX44 window. The canopy is 3.5m x 4.1m. Please note: the Lugarde images shown are representative and may contain features which are not included in the price shown on this page e.g. felt shingles are standard.